This is 2015, errrr 2019 and the technology choices for us to watch movies is dizzying! A bit of history…. I don’t want to start too far back, but, in the past 30 or 40 years there has been a remarkable technological shift in the way we watch movies (and TV shows, etc). Eventually we started going to the Drive-in on Sunrise Highway and then the Mall. But, by that time I had grown up and left. Not much changed for many years, but, the advent of the VHS video recorder changed our lives. Now “Saturday Night at the Movies” (and other shows) could be recorded and watched any time that suited our schedule. Wow! 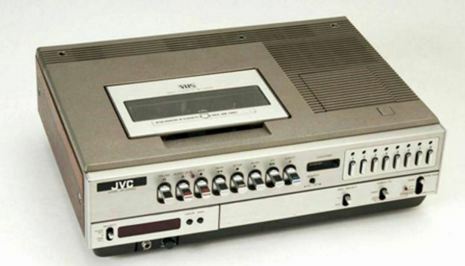 Lori’s dad had a VHS recorder just like the one in the picture (the remote was at the end of a long wire)…he recorded the Olympics one year. It was awesome! Then came movies on VHS tapes. You could buy them, stick them in the VHS Recorder and play a movie! Double Wow! Eventually, a new technology was introduced: The DVD player. Now movies are on a CD like disc that offered better quality, and longer life than the VHS tapes. We now have four choices. The DVD movie quality took a major leap forward with HDTV (see my blog on our first HDTV) and Blu-Ray (see my blogs on the battle to win the high def DVD war) DVD. But, we still only had 4 choices, even though the quality took a bump for the better. One day, I spotted an announcement for a radically new way to watch movies: via streaming over the Internet. Note: By now my home had “high speed” internet. 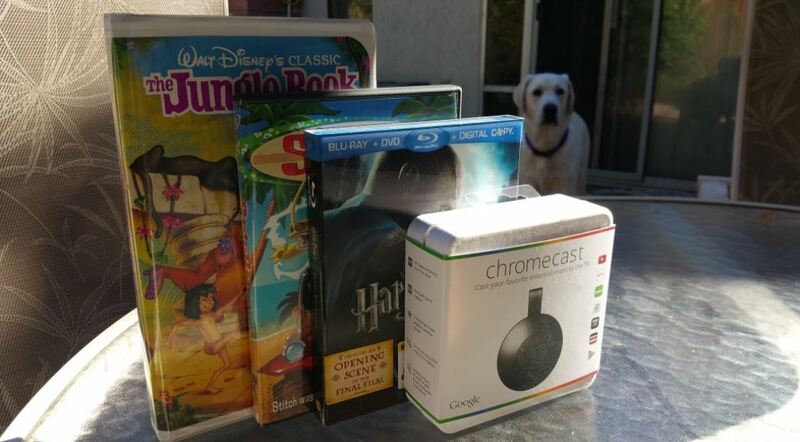 So I wrote to VUDU, told them what I did (this blog), and in a few days was rewarded with the single most exciting technology I had seen in years! The VUDU box that allowed us to view movies via the Internet. Triple Wow! Goodbye, Blockbuster and Netflix. It’s been nice knowing you, DVD. Watch your back, Blu-Ray. There is a new kid in town, and that new kid is about to change the world. That new kid is VUDU. How right was I? Well, I was RIGHT as RAIN! Of course, VUDU eventually had it’s competition and Netflix streaming seems to be the most popular, but, VUDU was the first to stream video over the Internet and nothing can change that. I still think they are the best, but, I am prejudiced. …..and the steep uptick in the number of options was about to begin….most of them via streaming over the Internet. Lori just came to me and asked me if I heard of “CinemaNow”. Ah, no, actually. DVR…..Digital Video Recording….did I miss this above? And a lot of these can be controlled via my Samsung Galaxy Note 4 Pixel 3 XL or Lori’s iPhone 6……oh, and we can watch movies on our tablets, smartphones, watches, etc……Quadruple WOW! It’s fun living a long life, loving technology, and remain willing to embrace change….a lot of old folks don’t do that. I am different. Previous Post: Fun with Statistics: Do More Blog Posts Result in More Views?